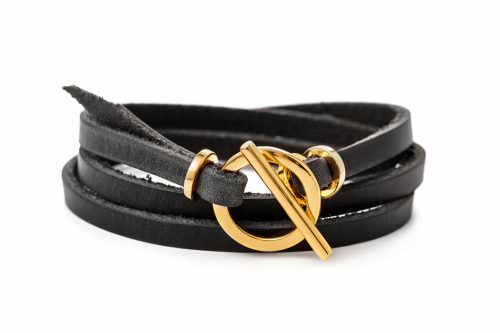 Fit Selection creative team decided to make and proud to present to you a new line made of genuine high-quality leather and 24K gold plated ring “Eternity” – The Eternity Bracelet Genuine Leather. Fit Selection creative team decided to make and proud to present to you a new line made of genuine high-quality leather and 24K gold plated ring “Eternity” – The Eternity Leather bracelet. The Eternity bracelet is a great accessory for all your daily activities and will be a great accessory to any outfit combination. 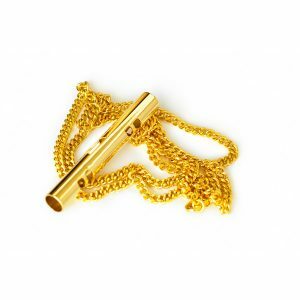 The ring is plated with 24K gold which makes it long lasting and non-irritating even for sensitive skin. This cuff wrap Bracelet is made from genuine leather which brings the original and raw look of this jewelry piece. This piece is finished with a classic Mirror Shine polish for a premium look. Creative design of this bracelet makes it adjustable for all sizes and suitable for every occasion. 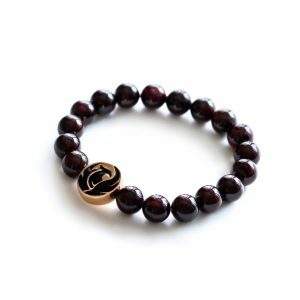 This leather bracelet as well as any other Fit Selection jewelry piece, comes presented in a black Fit Selection box making it ideal as a gift to yourself or motivational support to your friends and family. All of our designs are creatively made to be suitable for mixing and matching, so with your Eternity leather bracelet we suggest you to choose the matching necklace as well. Take a look at our minimalist collection for the combining ideas.